Inspiration comes in waves this week as various spots around town are gearing up to host some fantastic workshops. The Social Kitchen in Damansara Uptown will be holding a 3D steamed bun workshop that remind us of the too-cute-to-devour fare at Yü by Ruyi, while acclaimed writer and director Jo Kukathas has creative writing tips to share, and Craft at No.7 keeps it creative with a class on acrylic art. If weekends are your time for catching up on emails or passion projects, you’ll find like-minded company at APW’s Pulp by Papa Palheta. But, if all you want to do this weekend is hop on a hot air balloon and fly away, consider it done. Head up and away at this year's MyBalloonFiesta. 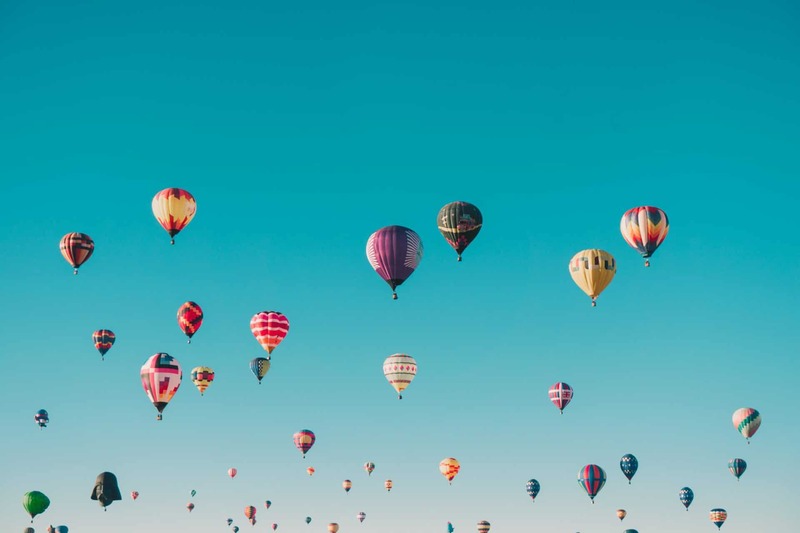 Hot air balloons from various countries are set to make an appearance both on ground and in the sky, while the weekend also entails games and the balloon igloo display. Come for the ride, and stay for the Night Glow event where balloons put on a light and music show. Hit a writer's block? Writer, director and actress Jo Kukathas is hosting a two-day creative writing workshop inspired by the exhibition Chia Yu Chian: Private Lives. The workshop aims to encourage experimentation with new ways of writing, by using the exhibition's emotionally-charged paintings for inspiration. Works created can be anything from plays, short stories and essays. Participants will be given ample time to write and share drafts, or brainstorm new ideas with their newfound creativity. To register, please email info@ilhamgallery.com. Speaking of getting your creative juices flowing, WeWork arrives in Kuala Lumpur and invites creators and entrepreneurs to join their growing community over coffee. With working spaces sprawled across Asia, WeWork is all set for its latest creative space in Equatorial Plaza but it's not all work this weekend! Mingle and exchange business cards as you enjoy Pulp by Papa Palheta's famous cold brew. You don't have to be a great cook to partake in this cute class, which encourages beginners to find their creative flair in the kitchen. The course runs through the whole process from understanding ingredients, dough-kneading, shaping, colouring and making silky smooth steamed buns. Tools and materials, as well as lunch, will be provided at the workshop. Learn to colour outside the lines with pouring painting; a style that creates stunning, unique pieces of art. Participants will discover the marvel of free flowing paint and the techniques used in acrylic pouring. The proof is in the product, which you can create two of and bring home to show off. No prior experience is required, and you will get your hands dirty.